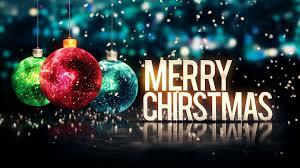 On behalf of the board of directors, I want to wish you and your family a very Merry Christmas! We mention family often in our communications to you because, after all, that is our mission here at Iowa Gun Owners -– preserving and defending the Second Amendment for the next generation! Our forefathers fought and died to make sure that we would have the ability to keep and bear arms, to be able to defend ourselves from criminals and tyrants. Now our children and grandchildren are counting on us to do the same thing, and working together, we’re doing just that! After years of removing anti-gun legislators all over the state, the members of Iowa Gun Owners came together in a major way this year and enacted the largest gun bill in Iowa history! But our fight is far from over. We’re just two weeks away from the start of the Constitutional Carry fight here in Iowa — a fight that will likely be even bigger than the one we waged for Stand-Your-Ground law. But it’s a fight we must make. No politician will be the savior of our gun rights. Our gun rights are only safe as long as there are grassroots Iowans who are willing to stand and fight for them. Thank you for being a part of this historic fight! Again, we wish you a very Merry Christmas and hope that you enjoy your time with family this holiday weekend. But get ready for a big fight, we’re going to need all hands on deck. And, if you’ve not already done so, please renew your membership in Iowa Gun Owners. P.S. Merry Christmas from the board of Iowa Gun Owners! Thank you for being a part of our grassroots army, and for never backing down in the defense of the Second Amendment here in Iowa! Next session, which starts in just over two weeks, marks the resumption of our fight over Constitutional Carry — which will be even bigger than our fight for Stand-Your-Ground! So enjoy your time with family and friends this weekend, and then get ready! And if you’ve not yet renewed your membership in Iowa Gun Owners, please consider doing so now.